Enjoy a great stay at this stunning 3000 acre Spanish style guest ranch adjacent to the Saguaro National Park. 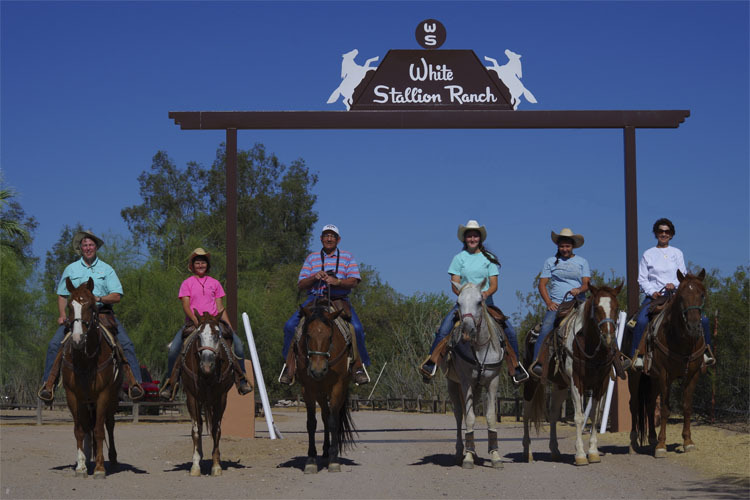 Special discounted stay on the Run of the House basis at White Stallion Ranch. For stays between May 19th – June 14th’ 2019, pay only £1285 per person per week (save over £200 p.p. on normal weekly rate in a standard room and over £370 p.p. saving on a deluxe room) or £775 per person for a 4 night stay (save over £140 on normal 4 night rate in a standard room and over £200 saving on a deluxe room), all rates based on double occupancy, single occupancy rates available on request. These rates include: accommodation, meals, ranch activities (including riding), taxes, transfers and gratuities. Flights available from £879 per person.